We offer a wide range of Boiler Pipes Some of the features of these Boiler Pipes are they are leak proof, sturdy and durable etc. 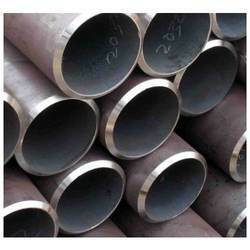 We Offer these pipes in various ferrous and non-ferrous metals and in various specifications and configurations. We are a leading organization dealing in wholesaling and exporting of a exclusive range of Industrial Boiler Pipes. Our expert team of associate professionals keep a constant vigil in the construction process of the offered product so that the product can be ensured complete satisfaction. Looking for Boiler Pipes ?